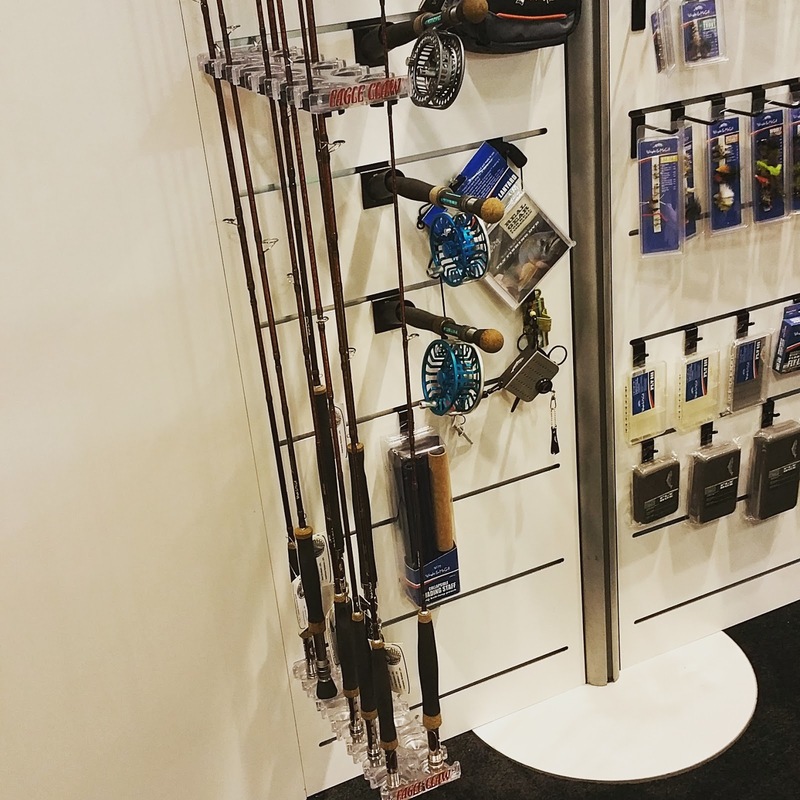 Here's the last installment of My Favorite products from ICAST 2015. 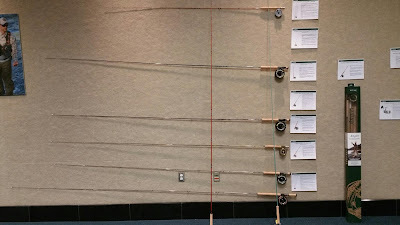 This time I cover the fly rods that were presented at the show. Enjoy the pictures and let me know if you have any questions! 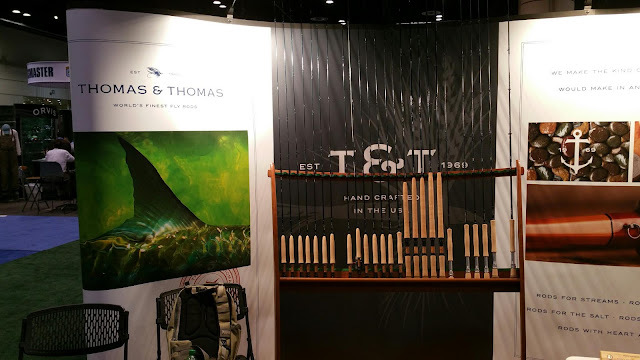 Thomas & Thomas makes rods with everything from Bamboo and Fiberglass to Graphite and Resin, by hand in Massachusetts. 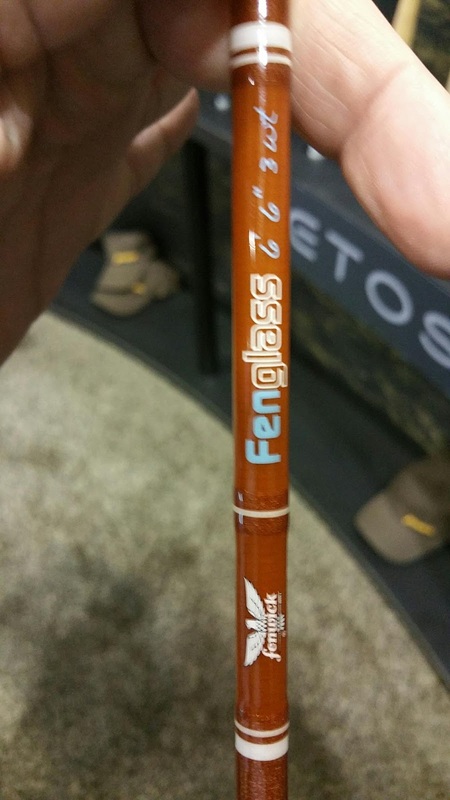 The guys at Thomas & Thomas were kind enough to let me cast the new Aeros medium action rod on the casting pond. 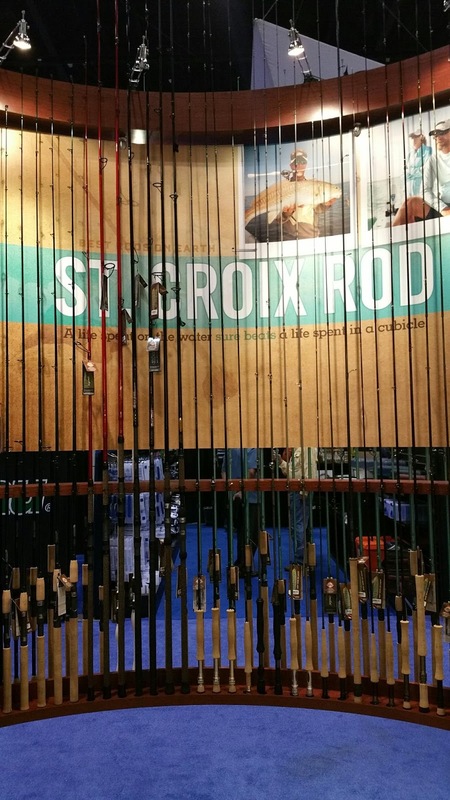 The classic feel and styling of this rod exudes technical, small-stream dry fly fishing. 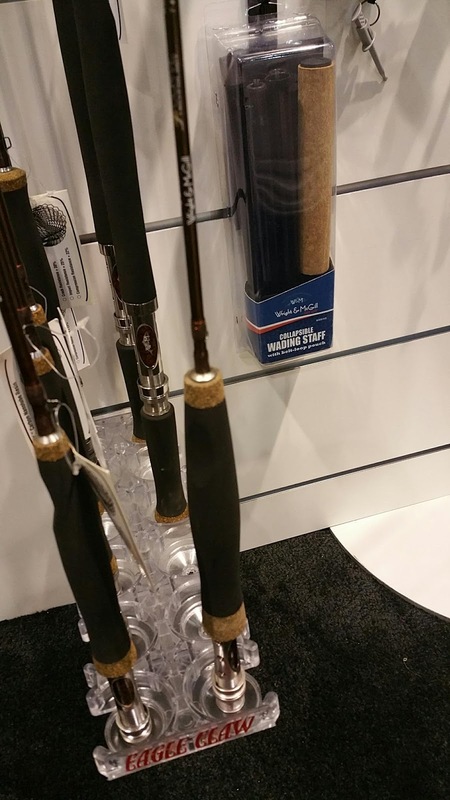 Available in 3-5 weight and 8', 8'-6" and 9' lengths, I know a few brook trout I would like to introduce this rod to! 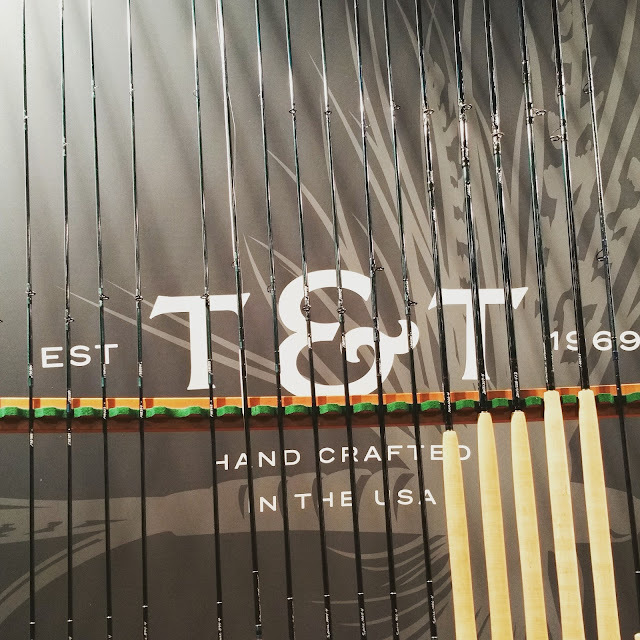 From 2 weight to 12 weight in a variety of actions and materials, Thomas & Thomas has an heirloom quality rod to suit your needs. 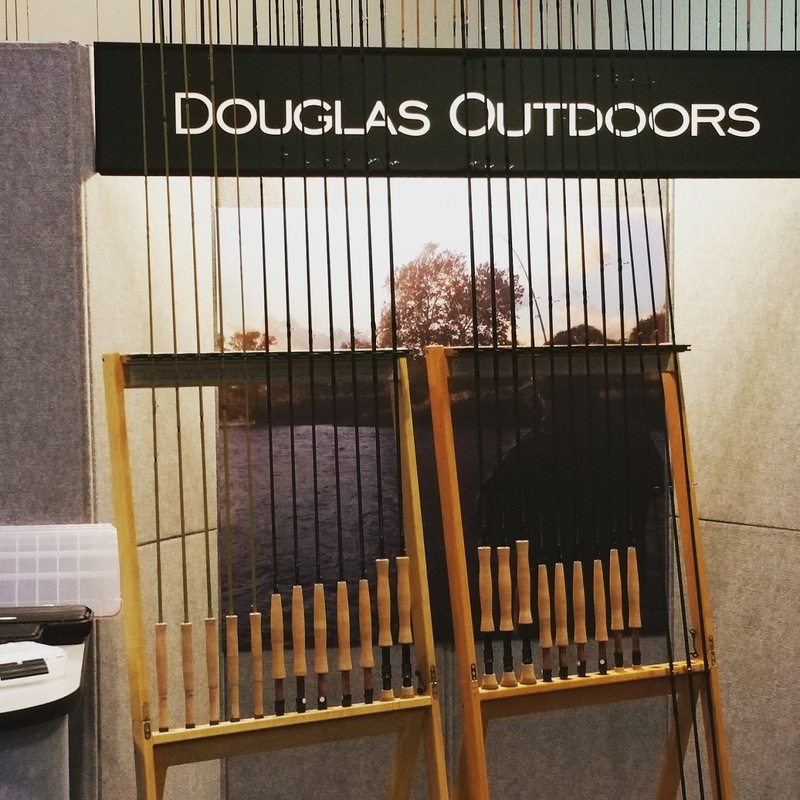 Douglas Outdoors was in attendance at the show with their line of rods. 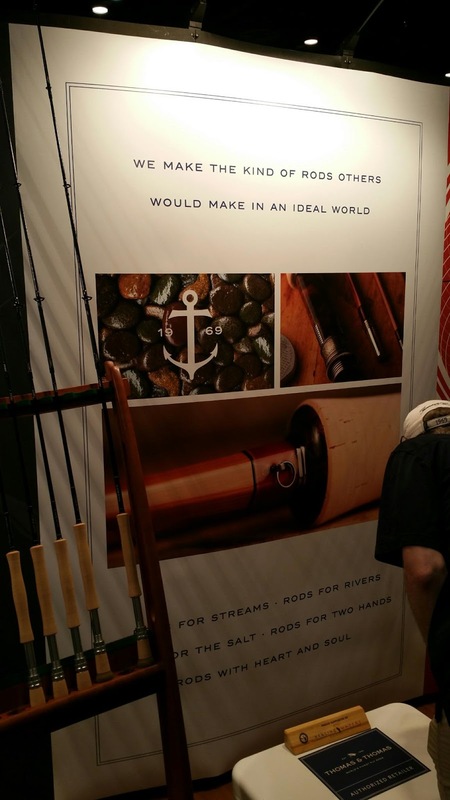 Being an ultra light enthusiast, I was immediately interested in the new Upstream series of rods. The Upstream rod was in the ICAST New Product Showcase. Intended for upcountry and deep bush fishing, the Upstream was designed with close casting and line control in mind. Available in 2-4 weight and 6'-6" to 8'-6" lengths the Upstream includes an aluminum rod tube and retails starting at $350. The R.L. Winston folks always have gorgeous rods at the show. 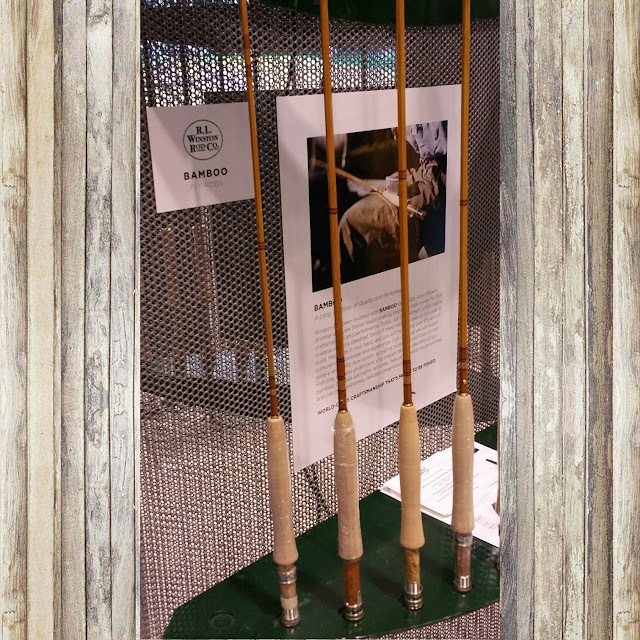 The ones that caught my eye this year are their line of Bamboo fly rods. Winston has been making bamboo rods since 1929. 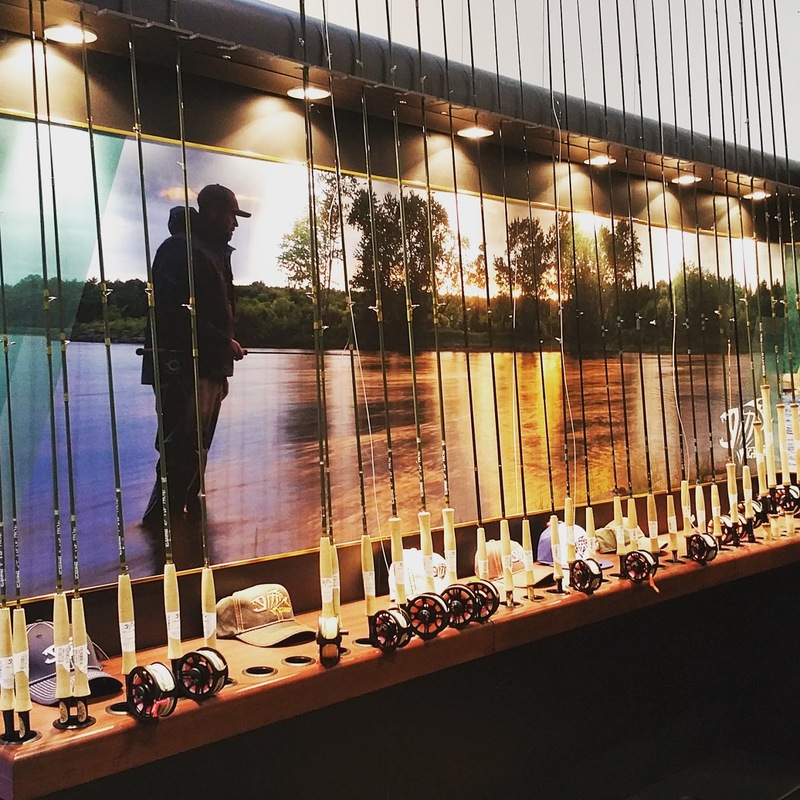 Handcrafted in Montana, these rods are available from a 6' 3-weight up to a 9' 10-weight. 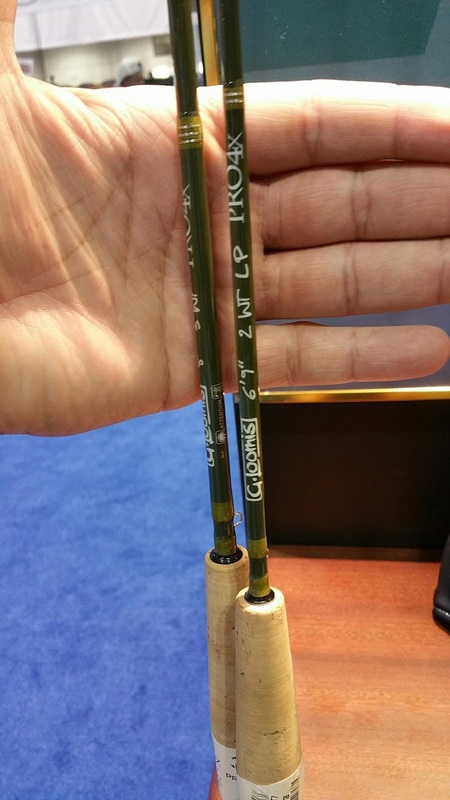 Grass rods are just a small segment of the full line of premium fly rods made by R.L. Winston. Wright & McGill were displaying their Generation II series of fly rods. Available from 2-8 weight and 7'-0" to 11'-0", they're built with strength and sensitivity in mind. I think these are the first rubber gripped fly rods I've ever seen. They almost have a tactical look and they feel very comfortable in hand. 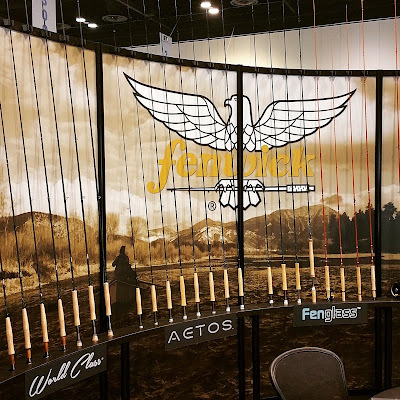 Echo Fly Rods was at the show with a huge booth displaying their full line of fly rods. When I say "full line" I don't mean just the line of rods they make, I mean that Echo makes a rod for every fly fishing style, situation and budget! 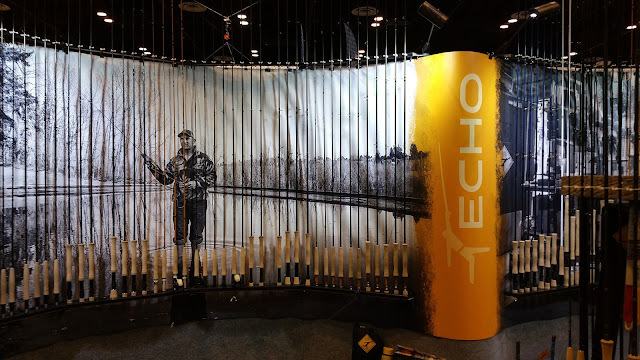 Echo had one of the largest UL fly rod selections at the show! 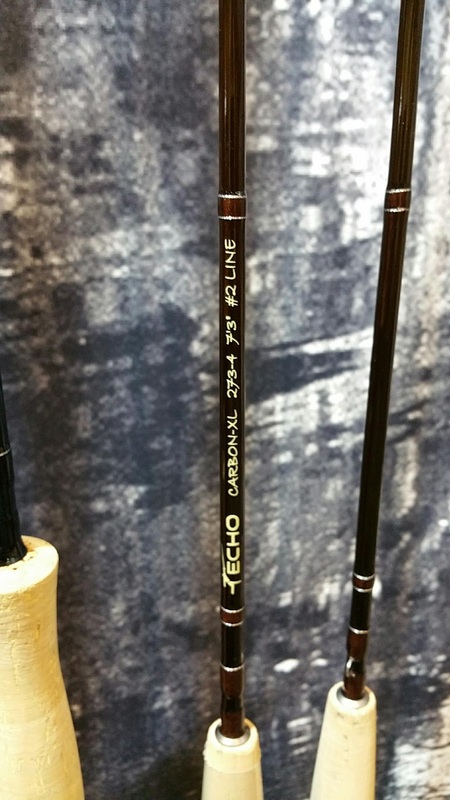 The Carbon line of rods is the most popular series in Echo's history and also one of the most budget friendly. L.L. 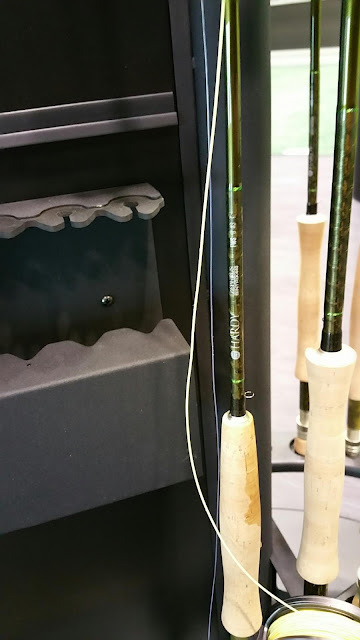 Bean didn't have any new rods at the show this year, but I do love the classic feel and styling of L.L. Bean's fly gear. While not exactly ultralight at 4 and 5 weights, the little Pocket Water outfit (shown at top) really grabs my attention! Sorry for the horrible photo, but this is the Hardy Zephrus 8' 3 weight that I got the opportunity to cast on the casting pond. The fast action blank used in the Zephrus really helps to punch the light line out for a great cast. It was certainly help ultralight fly rodders when casting on a breezy day! With 7 series of fly rods spanning from 2 weight to 12, St. Croix Rods will have a fly rod to suit your needs! 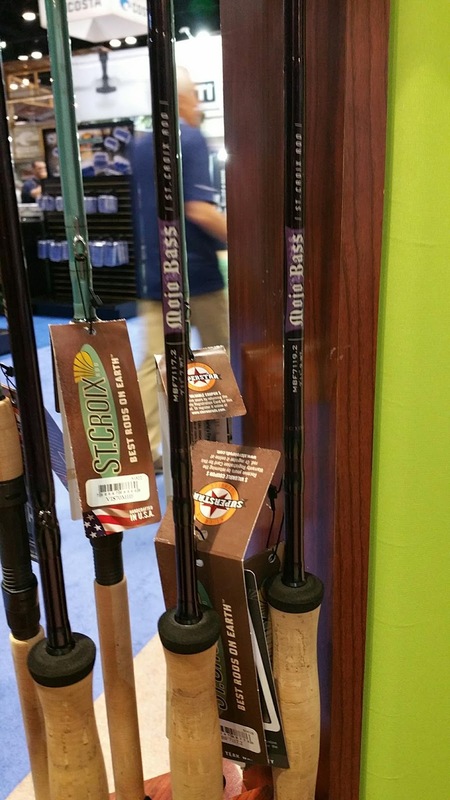 St. Croix's new Mojo Bass series rods won the Best Fly Fishing Rod in the 2015 ICAST New Product Showcase. 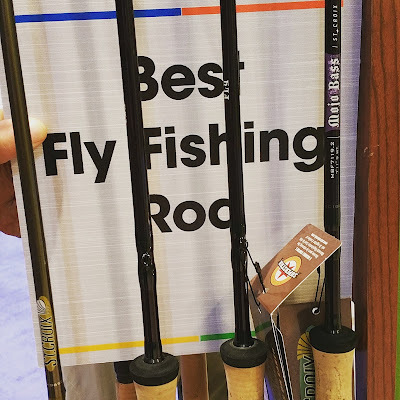 Finally a rod built specifically for throwing big, wind resistant bass flies and ripping a big bass out of the weeds or from under cover. At 7'-11" and 7, 8, and 9 weight, this is the rod to have for the local bass pond!! 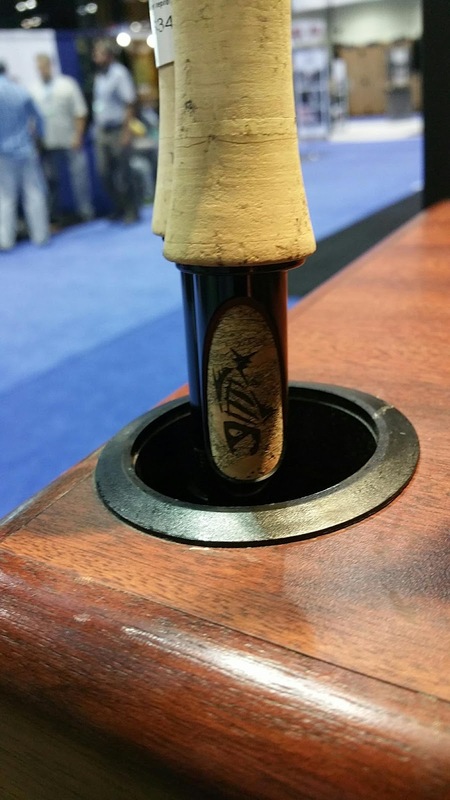 You gotta love the G. Loomis logo stamped on the reel seats of their fly rods! Talk about a wide range of rods, this was only about a third of the freshwater side of the G. Loomis fly fishing booth! 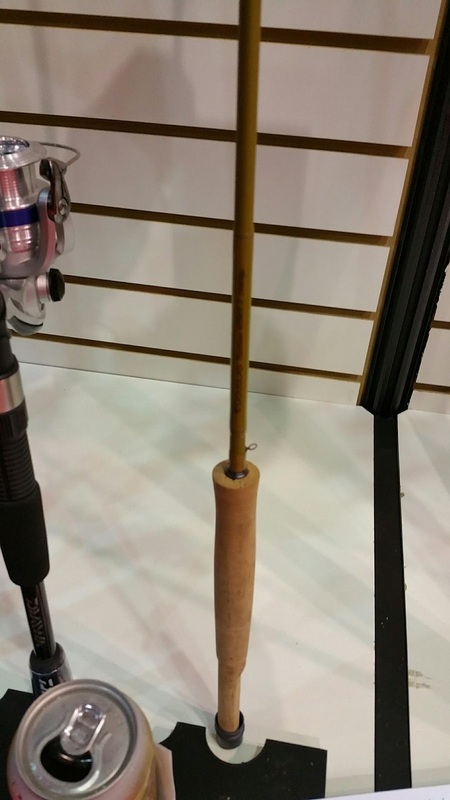 This Pro4X LP rod was made with easily spooked, native trout in mind. Designed, specifically, to cast light tippets with small dry flies, but with exceptional control. Available in 2-5 weight and 6'-9" through 9'. 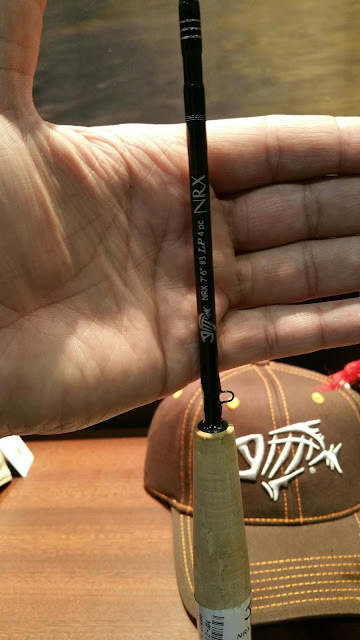 For a long, delicate cast the G. Loomis NRX Lite Presentation might be the way to go. In 7'-6" 3 weight up to a 9' 5 weight, the matte black reel seat is paired with a matte black blank with blue wraps or Evergreen blank with green wraps to help you sneak up on wary trout. 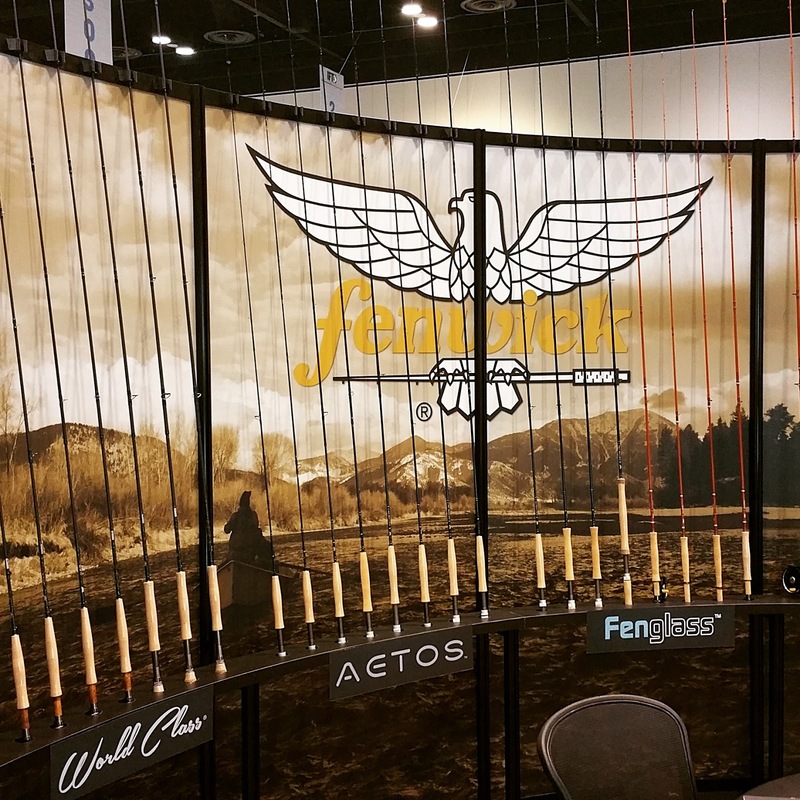 Fenwick's Fenglass series runs from a 6'-6" 3 weight through an 8'-3" 8 weight. The light weight, medium action rods are designed for smooth, accurate fly presentation.